One of our group is a geologist by trade. He told me that Zimbabwe is one of the most mineral-rich countries in Africa. 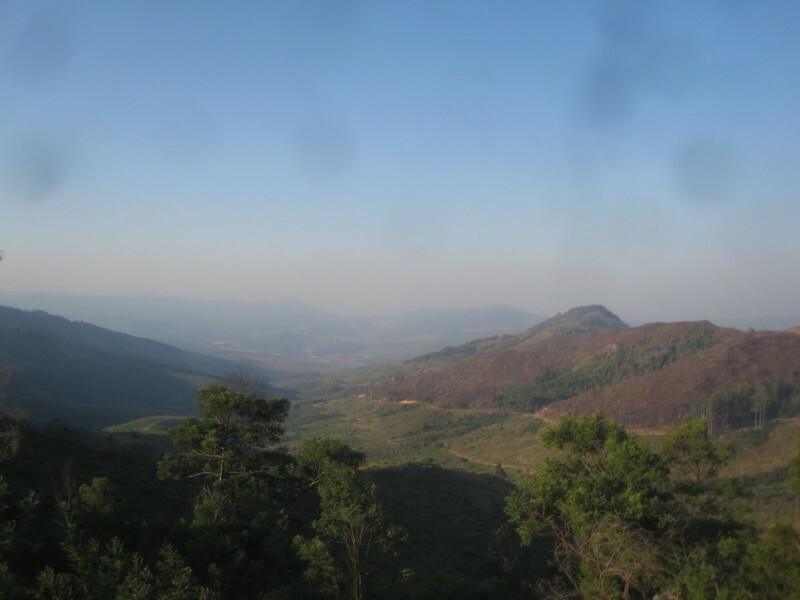 It also has had a lot of geologic activity in the recent past, meaning that it has a lot of mountains. These aren’t really serious mountains, most are 4,000 to 8,000 feet, but it does make for some nice views. One the day after this picture was taken most of the group went for a 12 mile hike in the hills. I opted for the 2.5 mile trek with some females who thought a 12 mile hike in the mountains was a little too strenuous. Good, choice, I thought. Note that the largest dimension available for this picture is 1024 X 768 as it was uploaded at a very slow bandwidth from a remote location in Africa. This entry was posted in Travel and tagged Africa, Overland Trip, View, Zimbabwe on June 30, 2012 by Steve. The truck had some really big windows. The views were simply really good. 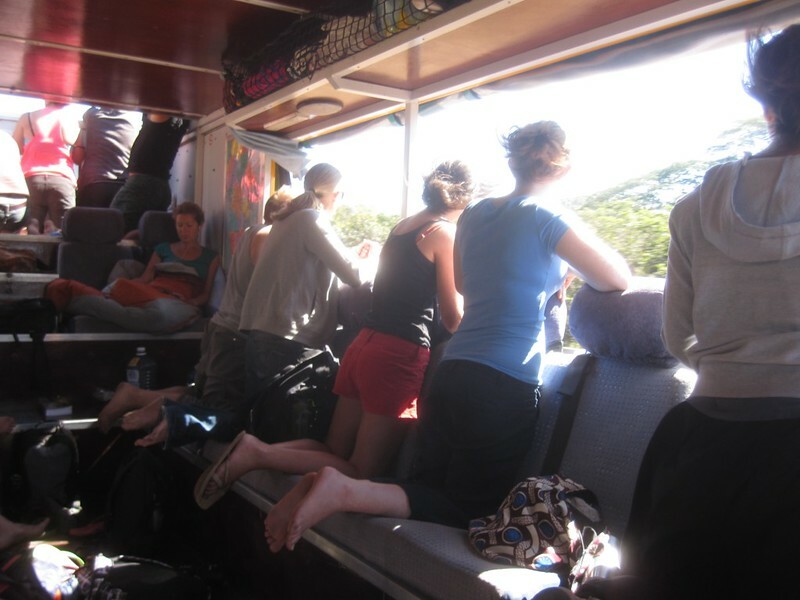 When there was something interesting to see, people would get in the seats that lined the big windows to get a good look. I spent my share of time there. The big windows were one of the best parts of the truck. They were also one of the worst on cold days when they were open. Note that the largest dimension available for this picture is 1024 X 768 as it was uploaded at a very slow bandwidth from a remote location in Africa. 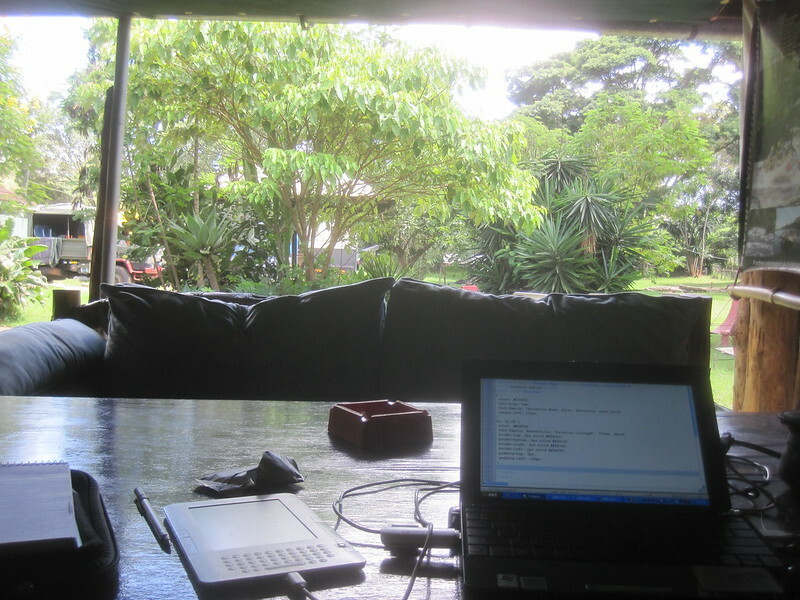 This entry was posted in Travel and tagged Kenya, View on June 4, 2012 by Steve. The Teleferico had some great views. Everyone said to ride it. Actually, it’s kind of a mandatory Bogota event. Everyone should go to Monserrate and everyone should ride the Teleferico. 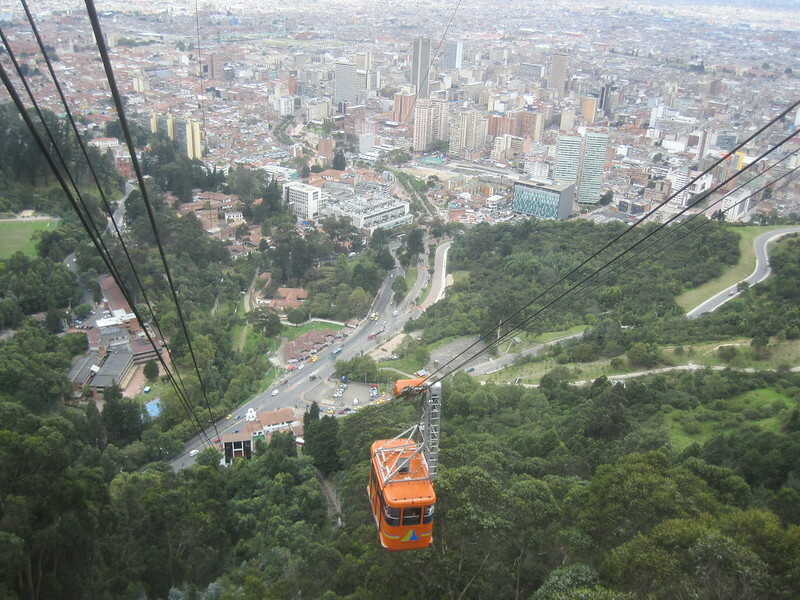 This entry was posted in Travel and tagged Bogota, View on May 20, 2012 by Steve. 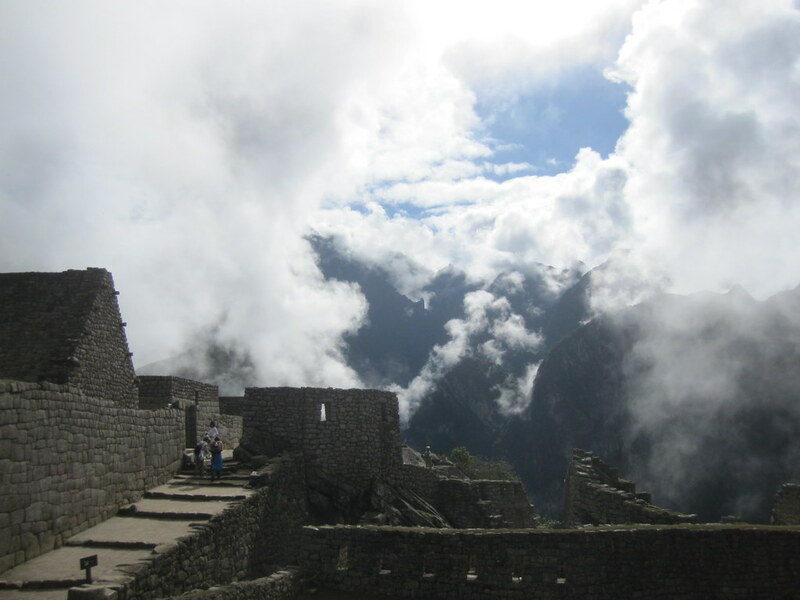 This entry was posted in Travel and tagged Machu Picchu, Peru, View on October 3, 2011 by Steve. 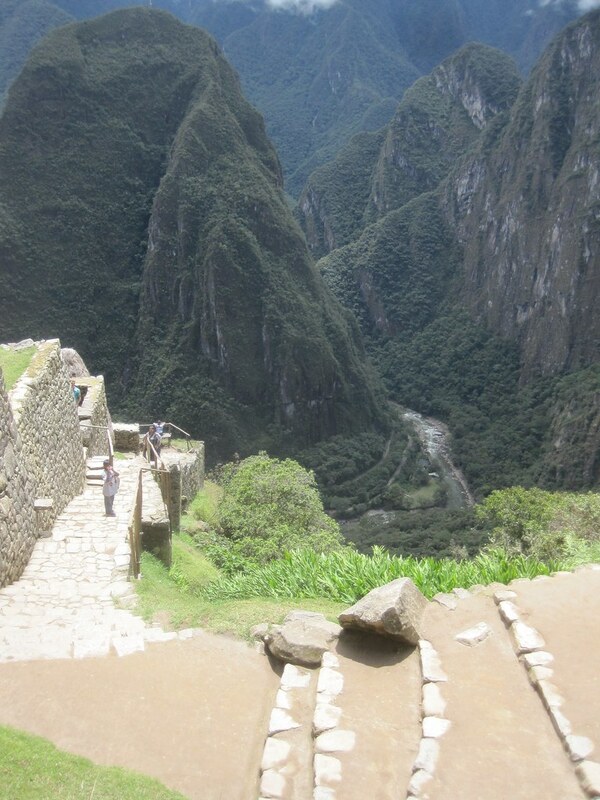 This view shows the river that is below Machu Picchu. I’m not sure how far below me the river was in this shot but I do know that there was no way I wanted to fall that far, One of the things that gives Machu Picchu such an impact on a person’s psyche is that it is so disorienting in terms of how high it is relative to the river below it that surrounds the site on three sides. 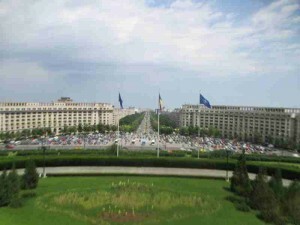 It is also lower than the surrounding mountains on the other side of the river. I was constantly being reminded of the spatial disorientation that the site produces. Plus, I was always worried about tripping or falling on the stone walkways or stairs. 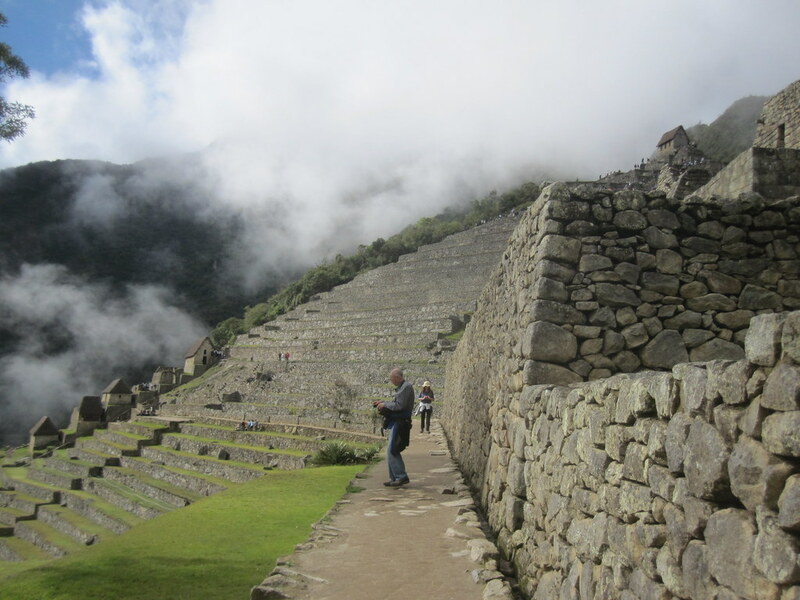 Every time I went somewhere that the Incas had established a serious presence I was impressed by how they liked to live adjacent to high precipices that I found disorienting. 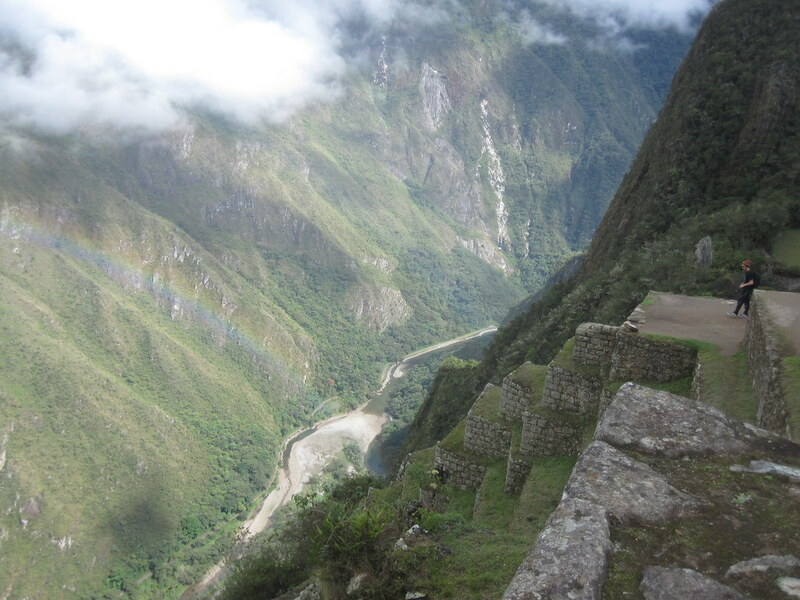 Here we see another view of the river from another section of Machu Picchu. This view must have been a little later in the day as it’s much clearer. Yes, it’s still quite a drop no matter what time of day it is. 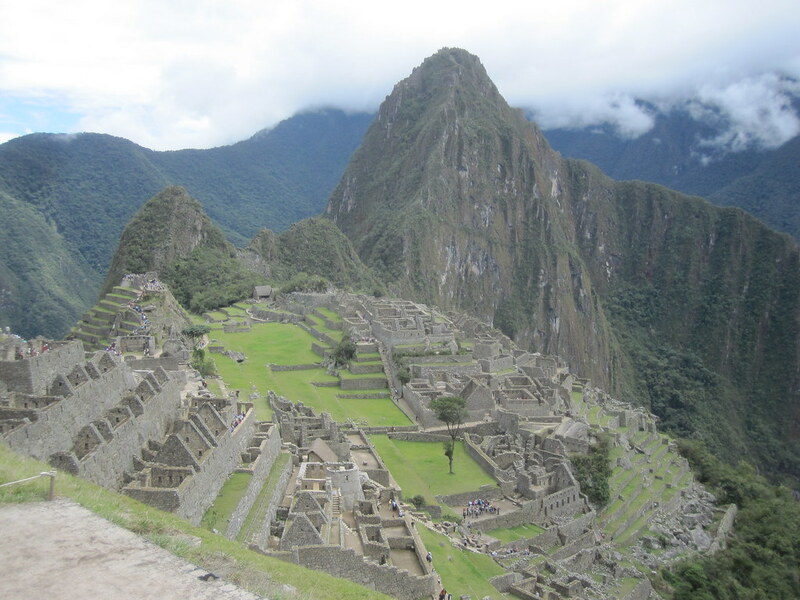 Here is the best shot I got of the classic Machu Picchu view. I went there wondering if I was going to get to be able to return with one of those great shots that I’ve seen. While I know it’s just a snapshot I felt I got lucky and captured some of the essence of the place. If you look at the original size, you can get a lot more detail.